Diorskin Forever Undercover Foundation - Does it really last 24 hours? As a member of the Glamour Beauty Club, I was invited to give a sample of Dior's Diorskin Forever Undercover Foundation a whirl. 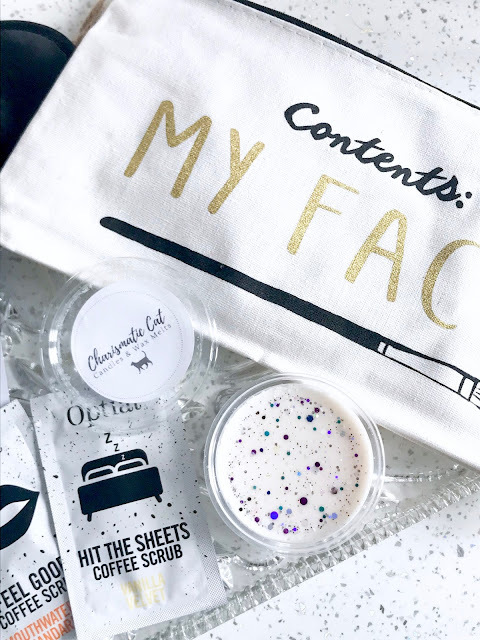 Let me just first say upfront that this isn't a sponsored post, and the sample I received was purely to try out, with no expectation of me heading to my blog to write about it. 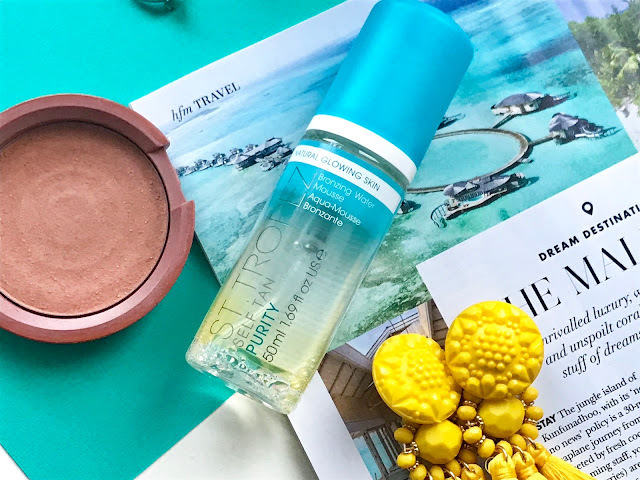 I've chosen to feature this foundation on my blog because I love high-coverage products, and want to share it with you all. Though I'm fake tanning until the sun comes back to the UK (roll on summer!) I chose to try shade 010 Ivory. I always find it so hard to colour match foundations online, so I figured if I went for the lightest shade even if it's too light I can make it work as a concealer, or for contouring. It actually turned out that Ivory was the perfect shade for me when it arrived, something I was surprised about because I don't consider myself to be really pale at all and I'm never usually the lightest shade. Perhaps that's something for everyone else to consider if they go to purchase this product. There are 26 different shades though, which is okay versatility wise, but maybe doesn't go light enough. A lot of people are calling brands to follow in the steps of Fenty Beauty, and being more inclusive to all skin tones, which I definitely support. The foundation claims it offers three things: "Full coverage, 24 hour wear and second-skin matte finish." All very bold statements, I put my tester to the test! The first thing I noticed was how little you needed to get a full face of makeup, the tester tube actually lasted me three days! The foundation just keeps blending when you apply it, and feels smooth and lightweight, despite it being full coverage. I really liked this about the product, because it can be really off putting to feel like your skin is caked in goop. This also meant it settled on the skin quickly, and I had no problems putting bronzer on top. It definitely does have a matte finish when first applied, so I felt I didn't need to set it with powder, but by midday I did have a little sheen on the oilier areas of my face. In terms of longevity, if you're not rushing around and are staying indoors, I can believe this foundation would last up to 24 hours. If you're walking in British weather, or being a busy bee up and down the stairs, you will notice this foundation start to disappear in some areas. One of the best things about this foundation though, is that Dior claim it to be non-transferable. Have you ever been on the phone and ended the call only to find your foundation on the screen? Well there's none of that with this. I'm sure it's dependant on how much you apply, but I liked it's stay-put longevity. I think this foundation would be a must-have for a night out or special occasion, applied with primer and set with powder to ensure its lasting power. I'd probably purchase this for myself, but might wait until Autumn, as I think it might be a little too heavy for summer when I like to strip my makeup back a little. 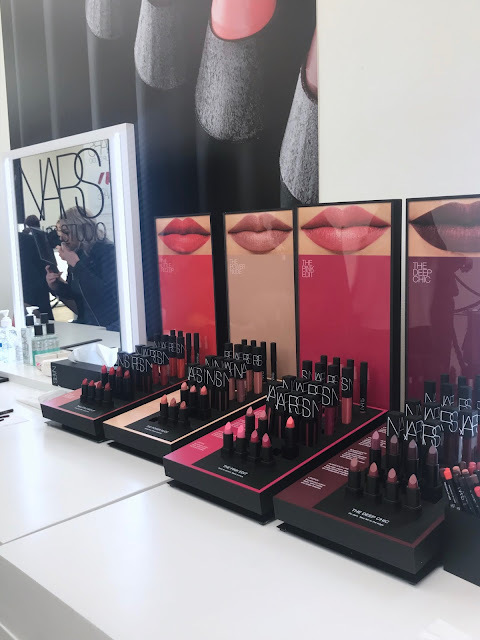 Overall though, it's a fantastic foundation if you like full-coverage, so why not get yourself to a Dior makeup counter and get a sample to try out for yourself! When I started to draft up this post, I began by making a list of all the Netflix shows that I have enjoyed watching over the last year or so, and it turned out I've watched a lot more TV than I first realised! Having watched so many series', I've managed to narrow down my list to the top 5 Netflix shows that I've either thoroughly enjoy, or have simply changed my life. Today's post is actually in collaboration with OLED TV Panasonic. If you didn't know already OLED stands for organic 'light emitting diode,' meaning each pixel has its own source of illumination (little handy fact for anyone who loves the technical side of things like me!). Because of this, OLED televisions have superior displays that are bright, bold and incredibly accurate - perfect for grabbing every outfit detail from one of your Netflix favourites like Blair Waldorf, or simply making celebrities seem a little more human by actually seeing their skin in detail! With this display development to consider, I was reminded of the Netflix shows that I love to watch over and over again. A show that's designed to provoke thought, Black Mirror explores ideas of how technology could be included in our everyday lives in the future. From eye contacts that have the power to let you replay your most embarrassing situations over and over, through to downloading our souls into inanimate objects, Black Mirror will have you feeling both as concerned about technology as you are in awe of its capabilities. With endless plot twists you just won't see coming, the best thing about the series is that the episodes are all independent from each other. So if you find it's not your thing, you won't feel obliged to watch the rest of the season! Reluctant as to whether I was going to be able to relate to a show centred around a group of boys, set in a small American town in the 80's, I finally gave in to the hype and let myself be submerged into the Sci-Fi world of Stranger Things. With a wide variety of interesting characters of all ages and one common enemy, I've been amazed by how addictive I've found the show to be! I feel like Stranger Things is Sci-Fi for people who don't like Sci-Fi, it's not too heavy with science jargon and offers just enough in terms of romance to keep fans like myself on the hook - roll on Stranger Things 3! If you grew up watching the Suite Life of Zack & Cody, then seeing Cole Sprouse portray Jughead Jones in Riverdale will immediately peak your interest. All the drama of high school, wrapped in murder and mystery, Riverdale is definitely a thrilling series. The best friend dramas and teen romances contrast wonderfully with the gang wars and corrupt business deals, making Riverdale an 'all in one' watch that you'll find unable to turn off until the early hours. 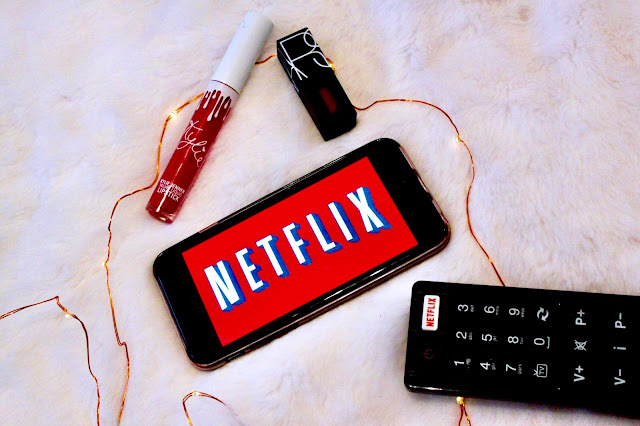 Initially I started watching Girl Boss one rainy Saturday morning, looking for an easy watch to listen to in the background whilst I was getting ready. Finding myself literally irritated by the main character Sophia (something which most people have said), I surprisingly found myself watching the series until the very end. Taken in by her tenacious attitude, drive and passion for fashion (hello Bratz quote) I actually grew to like Sophia as I followed her journey and was genuinely inspired by the show. A must-watch for anyone who's got an idea but is lacking in the confidence to execute it, Girl Boss will leave you feeling like anything is possible if you're persistent enough! Set in the Upper East side of New York, there's enough scandal, romance and back-stabbing to more than satisfy your cravings. Watching Blair & Serena constantly fall out and reunite, swap boyfriends and strive for perfection in their lives is honestly so frustrating at times, but there's such an addictive quality to the show, its iconic characters and plot lines, that you'll completely forget about your own life as you immerse yourself in the endless galas and social events. If you've got a penchant for fashion and love drama, Gossip Girl is the show for you. The whole Chuck & Blair relationship is reason enough to jump on the Gossip Girl bandwagon - I've never felt so emotionally invested in a TV relationship in my entire life - go Chair! 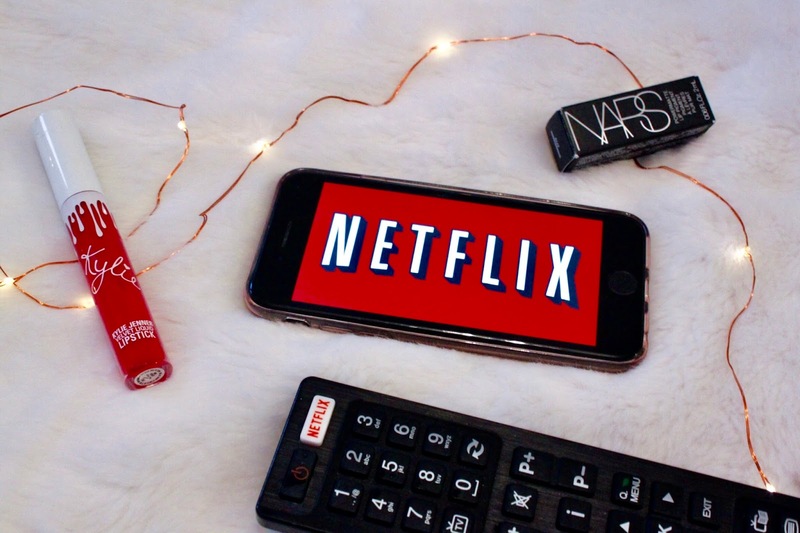 I'd love to know whether you've got the same Netflix favourites as me, or can even suggest something new for me to watch that you're addicted to, given what I've enjoyed above - leave me a little comment below! Lip balms are my obsession. They’d be my desert island essential, and I absolutely cannot cope with having chapped lips. During my time I’ve owned countless balms, but never managed to get my hands on one from the arguably most coveted brand, EOS. That was until recently when I attended the Glamour BeautyFestival and picked up one from the FeelUnique stand. 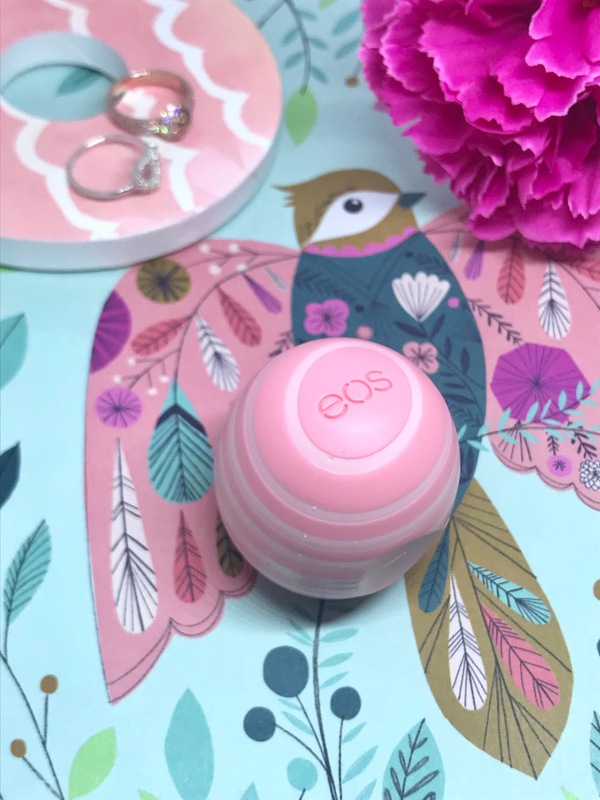 At last I’m finally in possession of a Coconut Milk EOS Lip Balm – but is it worth the hype? 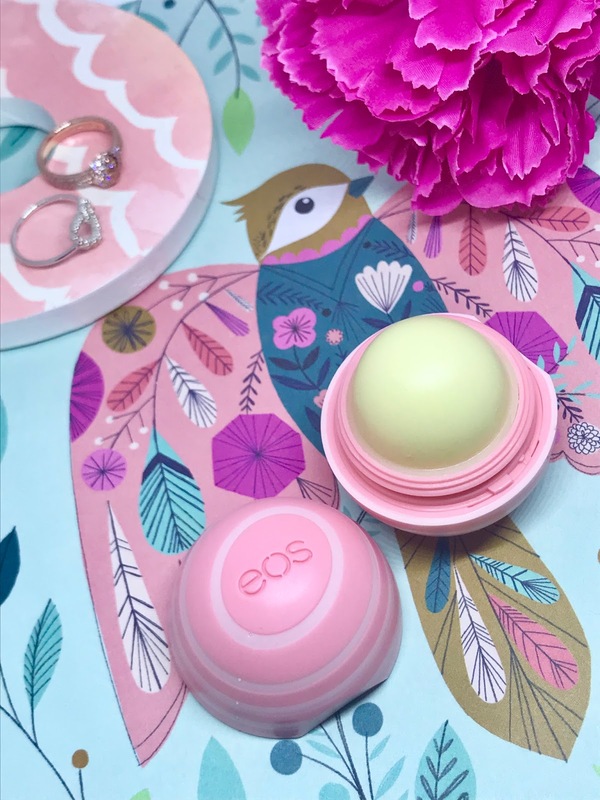 What Makes The Visibly Soft EOS Coconut Milk Lip Balm Special? Enriched with cocoa and shea butters and four different moisturising oils, the Coconut Milk lip balm is designed to make your lips visibly smoother and softer, whilst also sealing in moisture. It's also free from parabens, Not having tried the brand’s previous balms first hand before I can’t compare directly with their other balm collections. However I can say that the light formula is non-sticky and very moisturising. I found that mine needed to be worked a little to get it warmed up first before it applied properly, but I don’t know if that’s down to the cold weather we’ve been having! As for the fragrance, the Coconut Milk scent is really gorgeous and sweet without being sickly. I’m a coconut fan anyway, it always reminds me of summer holidays abroad, so of course I knew it’d be right up my street! The packaging is no different to any other EOS lip balm, its iconic spherical shape and colourful packaging is what makes these little balms so great. Having tried the cube-shaped Balmi brand before, I’m no stranger to how these are used, and have to say the round shape is very tactile and aesthetically pleasing. The only thing that visually sets this apart from the brand’s previous balms is the addition of the two-tone stripes. In a pastel and candy pink, what’s not to love?! Other than that there’s not really a lot more to say about this balm, apart from the fact that it’ll be joining me inside my handbag for all future journeys! What’s your go-to lip balm? Leave me a comment below! The Glamour Beauty Festival is known for being an amazing day out, filled with lots of pampering and experimenting with beauty products. But the fun doesn't just stop when you leave the event, in fact it goes homes with you in the form of an incredible goodie bag. This year the goodie bag was said to have a retail value of £180 - an absolute bargain if you consider the ticket price is about £40! Not just full of testers and sample products either, there are a number of full-sized products tucked inside. The bag itself is a super-glam, reusable shopping tote in metallic rose gold. On both sides there is a quote that says 'My Beauty. My Rules.' I think I'll probably take mine away on holiday as a beach bag! So you've seen my run down of what to expect at the Glamour Beauty Festival, now it's time to see exactly what's inside the goodie bag, and find out if it's really worth it or not. (Spoiler alert. It totally is). There's so much inside I'm going to list it in categories, grouping the products together. - A Copy of the Glamour SS18 Beauty Book, with Zoella on the cover making it an excellent blogging prop! 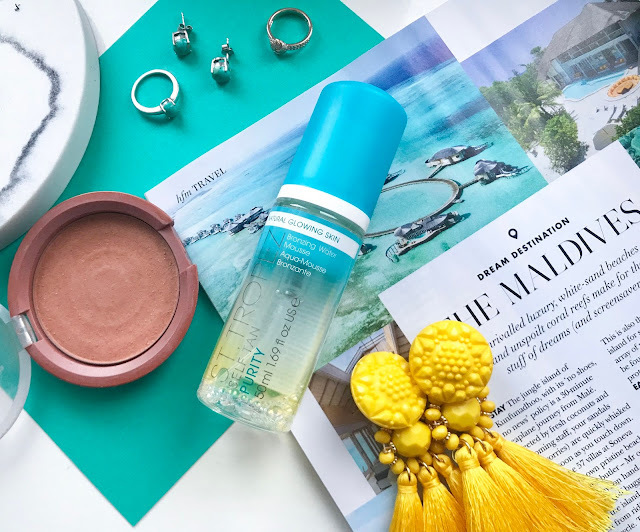 Having gone to the event with a friend, I know that whilst we both got exactly the same products from the brands inside our bags, some of the shades of the products varied. I did see some people online saying that they were upset that some of the shades weren't personalised to their skin type or colourings, but I think that's to be expected when giving out goodie bags on mass. For me personally there are so many wonderful products inside, that I won't even worry that the concealer is too dark for my skin tone, or that the rose gold hair colour is unlikely to show up on my dark brown hair. I'm just happy I've got enough goodies to review in the coming months! Did you go to the Glamour Beauty Festival? What're your thoughts on the goodie bags and the event itself? Let me know in the comments below! This year I was lucky enough to be able to buy tickets to go to the Glamour Beauty Festival 2018. Something I've been looking at doing for at least three years, it was amazing that I was finally in a position to be able to go along with a friend. 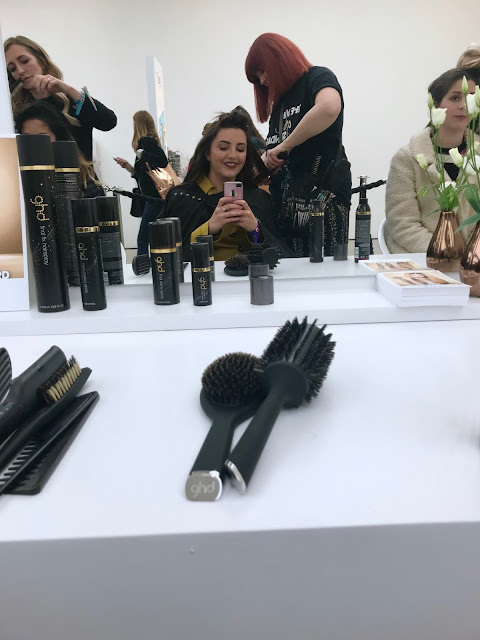 Before going I'd done a little bit of research online as to what I could expect, but I want to share with you my version of events, along with some tips, about my time at the Glamour Beauty Fest. Spoiler Alert! If you're headed there this year and want it to be a surprise, stop reading now - don't say that I didn't warn you! My friend and I purchased tickets for the Friday evening session. We were too late to the game to get our hands on a weekend or day pass, so we headed over to the Saatchi Gallery in London for 5pm and were queuing outside for about 15 mins whilst they were checking everyone's tickets. Unluckily for us it was tipping it down, but I had an umbrella to hand, so we huddled under, praying we wouldn't have to wait too long to get our hair fixed! I'd recommend arriving 15 mins ahead of time to avoid being at the back of the queue, thankfully there were probably only about 20 people in front of us at most which meant we got first dibs on a lot of the stands! When our tickets were scanned we were given a little festival bracelet (think all-inclusive holiday band, and not braided friendship bracelet!) along with a map of the layout. 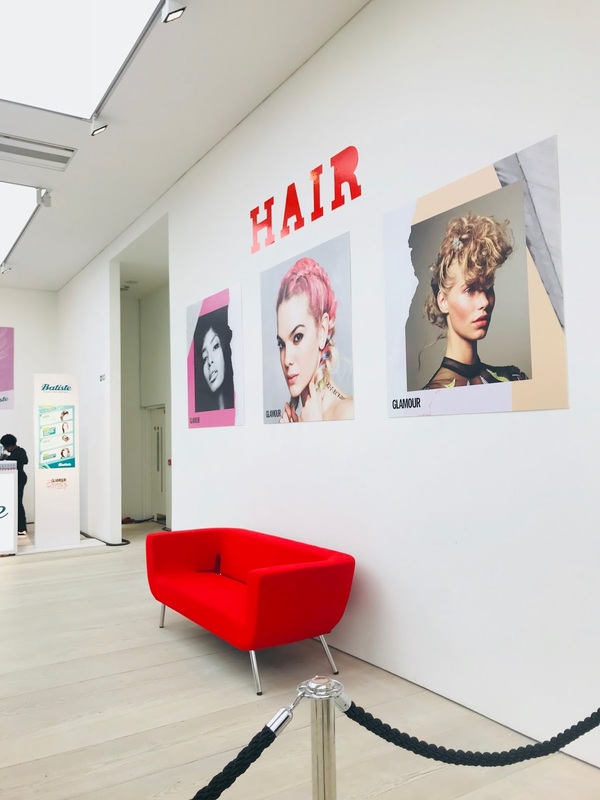 Set up over three floors in the huge Saatchi Gallery space, there's rooms for everything. 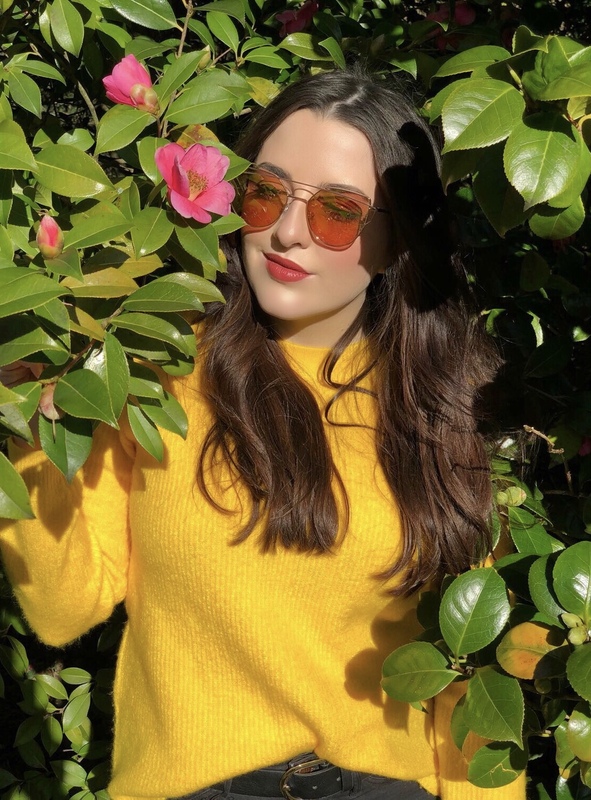 Hair, Skin, Nails, Makeup, Wellness and even an Instagram zone! 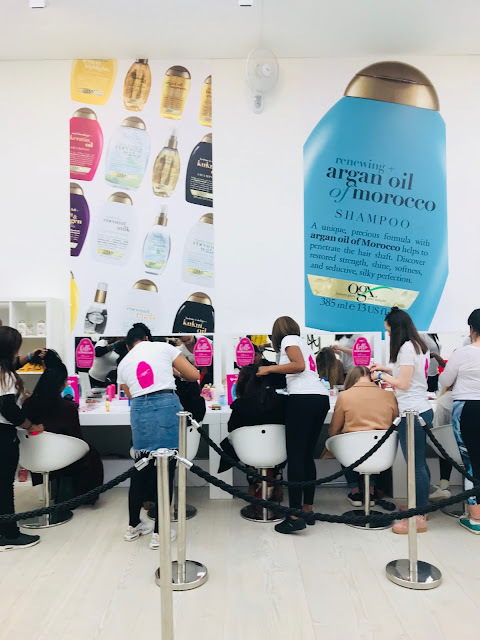 If you've ever been to a beauty blogging event, it's just like that with all the brands set up on their stands. Depending on how busy it is you'll have to queue for a little while to get anything done. 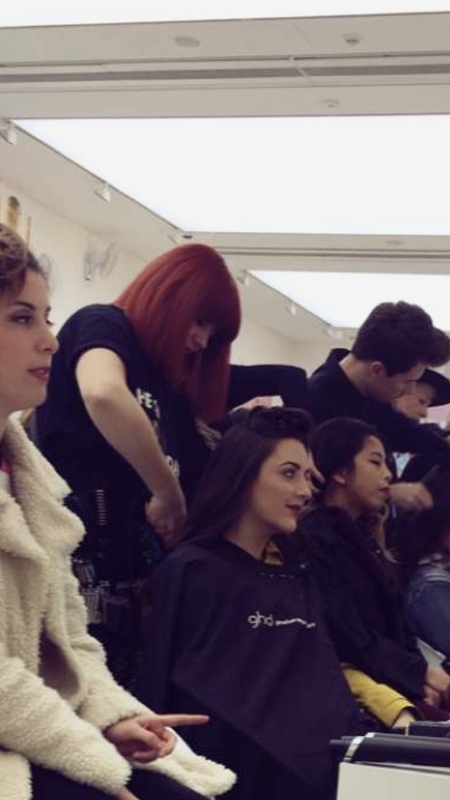 As we were pretty much first in, my friend and I headed straight over to the GHD style bar where they were working magic with dry styling. Though we could've gone to the OGX stand for beautiful braids, or had our hair styled by the wonderful people at Batiste too! Both of us opted for curls, and had a little natter with the ladies styling our hair. I'd recommend getting your hair done first (particularly if you've got long hair like mine!) the queues for the hair were the longest, and considering how long it takes and the fact you're probably going to want to take selfies on the way round it's a good place to start and gives you a chance to glance over your map. So many of the brands were giving away free products in exchange for following them on social media! From OGX giving away shampoo and conditioner (I chose the coconut milk set), to FeelUnique allowing you to choose five - yes FIVE, free products! And all of this was on top of the luxury goodie bag with a retail value of £180! 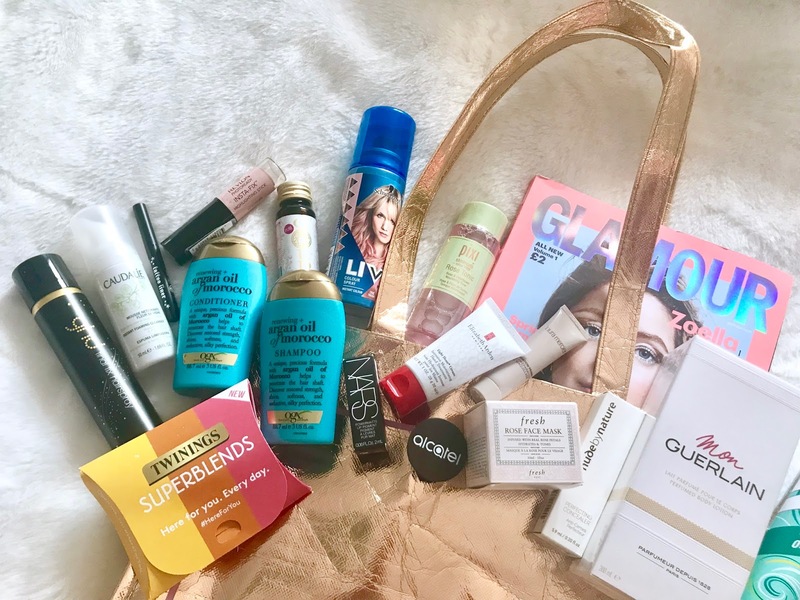 I'd recommend getting your goodie bag quite early on, not only can you have a little rummage through what you got, but the bag is perfect for putting any extra products in that you pick up on your way around! You can read my take on 'what's inside the Glamour Beauty Festival 2018 goodie bag?' 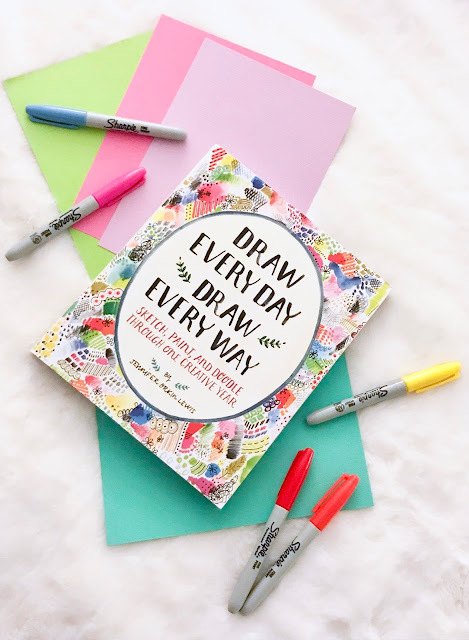 in a separate post here, because honestly it's so jam-packed with products that you'll be reading this post for a lifetime! What I can say though is that there was allsorts inside, from hair and skincare products, through to makeup and electronic beauty, this has been hands down the best goodie bag I've ever received. In fact, I'd go as far to say that if you bought the ticket only for the goodie bag, and didn't even walk round, that it's 100% worth it. With so many stands, you'll have to be selective about what you want done. For example for hair alone, I think there were five different brands offering different things for free. From dry styling and braids, through to temporary colour, it's best to pick what you want done early on so you're not wasting time deliberating. Here's a little list of everything I got involved with on the night and with which brands. I had beachy, california curls put in my hair by GHD. Then headed over to Kat Von D to get a dramatic, copper smokey eye - with their Tattoo Liner might I add! Which is incredible (and included in the goodie bag yay!) With my hair and eyes on fleek, I went over to NARS to get a statement lip to match. I actually ended up purchasing the lipstick they put on me, which will also be in a separate post. I didn't get any skincare or base makeup done, because it meant taking off my existing makeup, which for me was just a pain. So if you have the confidence to go there with a bare face as a canvas, that's probably best! Remember, there's a number of nail bars inside too for a mini manicure so naked nails make pampering easier as well! My friend and I arrived at 5pm on the dot, and though our ticket allowed us to stay until closing at 9pm, we found ourselves finished at about 7.30pm. I'd read other posts online with people saying it's impossible to get round everything, and I don't know if our efficiency was down to it being a Friday evening session (arguably quieter than the weekend), or the fact we knew what we wanted to do. If you want to speak to every single brand inside, and have something done at every single stand, then yes a day pass is probably for you. But if you're quite happy only getting involved in the things you're interested in, then a half day ticket is definitely more than enough time. One thing I will say though, is we never went to our Pixie Lott hair demo talk. 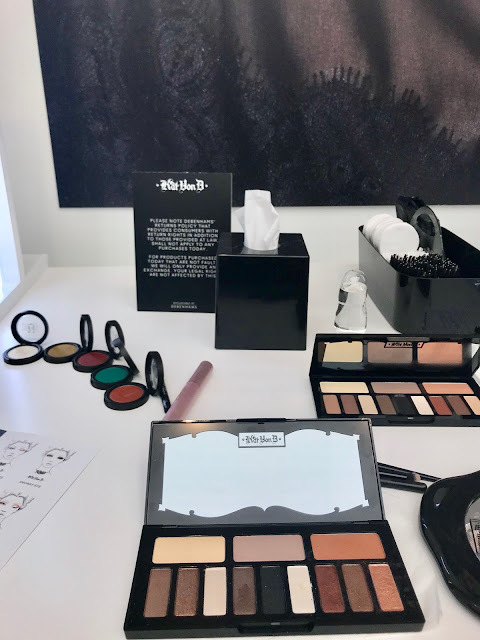 We queued up for our smokey eyes at Kat Von D and totally lost track of time. We didn't feel bad about missing it because we were having too much fun, but perhaps if we had of gone it would have eaten more into our time - just something to think about on the day! Yes, yes, one thousand times yes! As I said before the goodie bag alone is more than worth the ticket price. Factor in all the treatments and beauty extras you get along the way too, and it's just such a fantastic event. 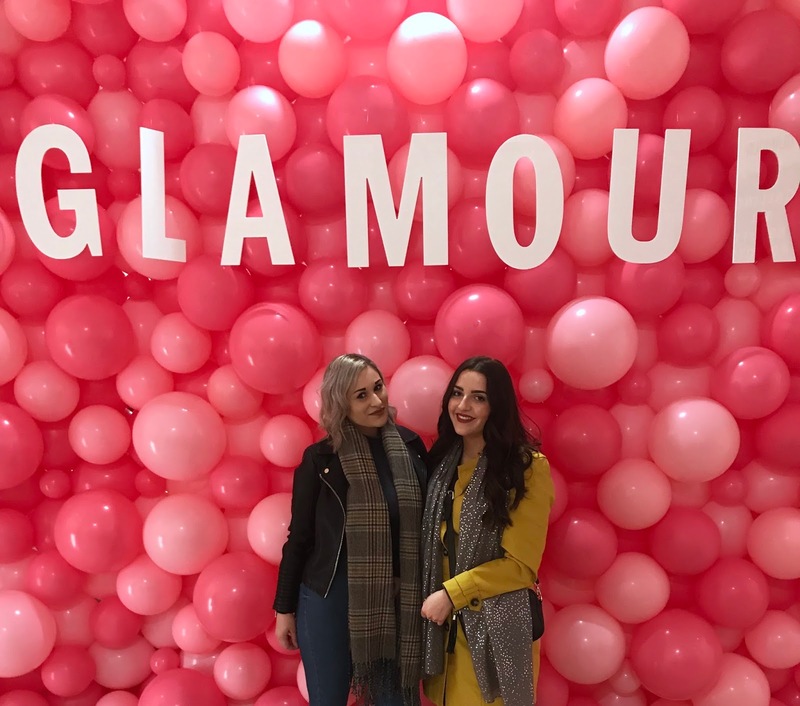 My friend and I were over the moon to have finally been able to go, and it was just nice to have a little catch up and experience everything the Glamour Beauty Festival had to offer together too. If you're after a girly day out with plenty of goodies, pampering and beauty tips, then I'd totally recommend getting tickets. 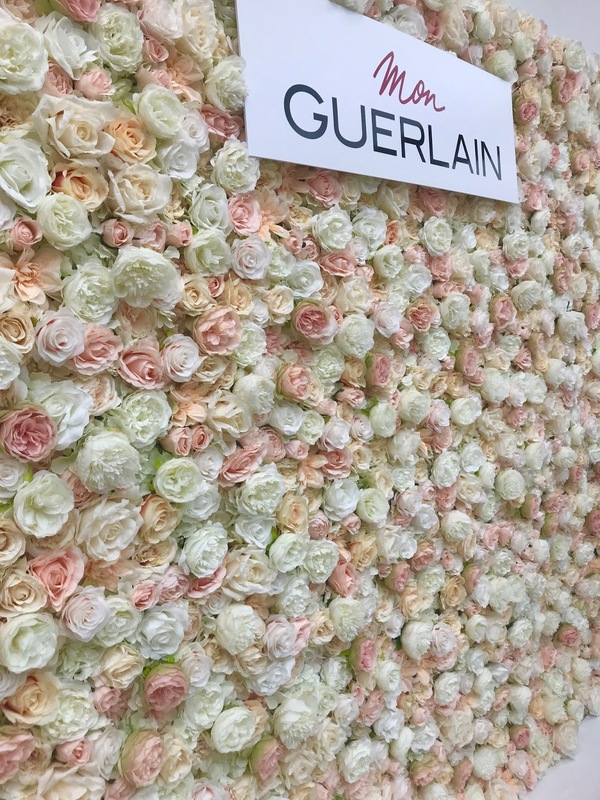 Have you been to the Glamour Beauty Festival before, or are you booked to go this year? Leave me a comment, or any questions below! If there's one thing we can all agree on, it's how iconic Urban Decay's Naked palettes are. I feel like it's basically a right of passage into the beauty world, to get your hands on one of these. I actually purchased my first palette (Urban Decay Naked 2) when I was about 19, so was pretty late to the game by today's beauty standards! But I was over the moon, and like everyone else, obsessed with the beautiful golden shade, Half Baked. 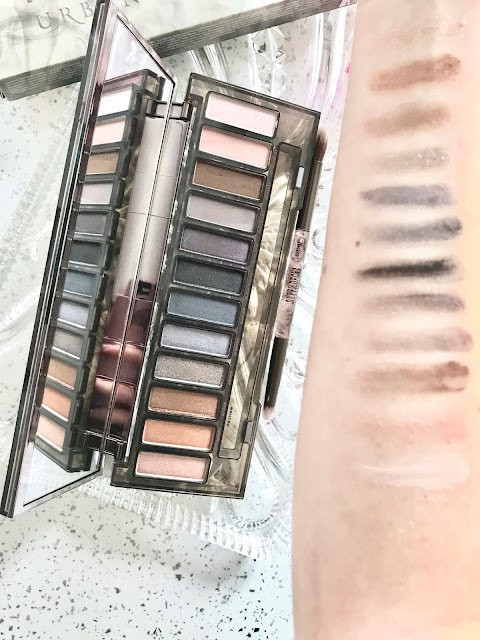 Then last Christmas, I was lucky enough to be gifted Urban Decay's Smoky palette from my Mum (shoutout to her for feeding my palette addiction). A daring combination of dramatic shades, the Smoky palette is definitely way overdue on my blogging to-do list. With dark brown hair that people often mistake for black and pale skin (particularly during the winter months where the sun at!?) my colourings were never really such that suited a smokey eye. I looked more like I was going through an emo phase, instead of attaining the edgy-glam look I longed for. In truth, it was probably down to my amature application of the shades, opting for the harsh black colours and heavy liner I saw everyone using in my teens. But since learning how to properly apply and blend out my shadows, a smokey eye has become my night out staple. A spectrum of dusky shades, ranging from soft browns and greys, through to contrasting charcoals and nudes, it would be crime if the aptly named Smoky palette didn't incorporate everything needed to create the perfect eyeshadow look (my swatches below really don't do them justice). For me, the star of the palette has to be DirtySweet, it's like a warmer, honey version of Half Baked and just so gorgeous. In fact the glittery shades in any Naked palette never disappoint. I've had compliments even at the hairdressers when I was looking like a drowned rat in the sink about DirtySweet. So that'll give you some indication of the glowing power of these shadows! The matte shades don't set my world on fire because I'm personally all about the shimmer, but are a must when creating contrasting highlights, and transitioning on the creases. Every shade is wonderfully pigmented, and like my previous Naked 2 palette, doesn't budge once on. 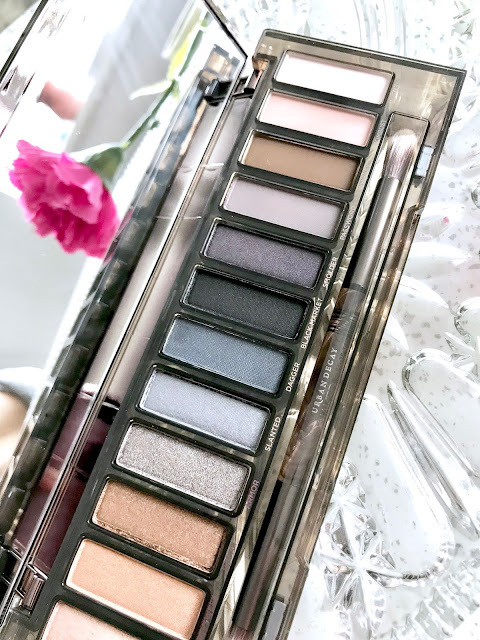 Because there's the perfect balance of matte and shimmer shades in both dramatic and subtle hues, this palette is great for taking away on weekends or for travel because it has a mix of shades for all occasions - a must when you're limited to hand luggage! I have to take a moment to congratulate Urban Decay on the packaging of this palette too. Though the palette may be plastic, you could never think it looked cheap. The gorgeous smoked effect on the lid is so chic and classy, and reminds me of a cool-tone tortoise shell effect. Very glamorous on my dressing table. If you're after a palette specifically designed for creating a smokey eye look, then obviously this should be one of the first ones you consider. It's also a great all-rounder for anyone beginning to get into makeup, or just travelling around a lot, because of the versatile mix of shades. For me the main attraction of this palette, is the combination of warm and cool tones, whereas with Naked 1, 2 and 3, you've got to choose between which you'd prefer - just something to think about if you're stuck trying to choose just one! 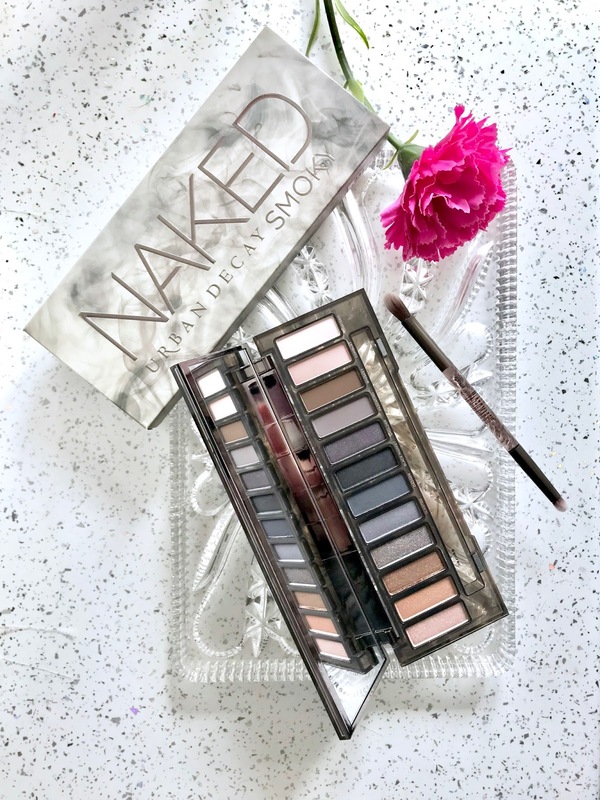 Do you have a favourite Urban Decay palette? Let me know below! The start of every month I look forward to receiving my monthly subscription box from TreatBox, and this month more so than ever before! The last week I'd been bed bound, and feeling generally very sorry for myself, that was until my March TreatBox landed on the door mat. Filled to the brim with everything I needed to get myself back fighting fit, the March box had a 'self care' theme to it. Crammed with a whole range of goodies that would ensure you managed to take 5 minutes out for yourself and just escape whatever stresses were bothering you, I was over the moon with the contents. To smooth away dry skin (very important right now considering how crazy cold the weather has been), there were two coffee-based, Optiat scrubs. 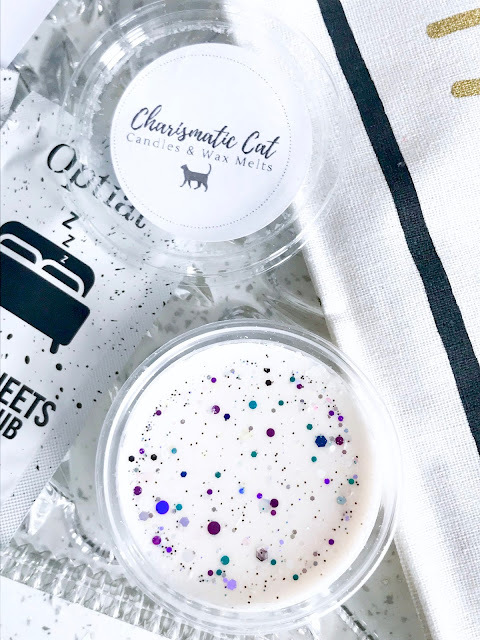 A nature-friendly beauty company, committed to repurposing items that would otherwise be discarded, Optiat scrubs use Arabica coffee grounds from London's finest cafes and restaurants. I received a 'Feel Great' mandarin sachet, along with a 'Hit The Sheets' vanilla scented one for night time use. 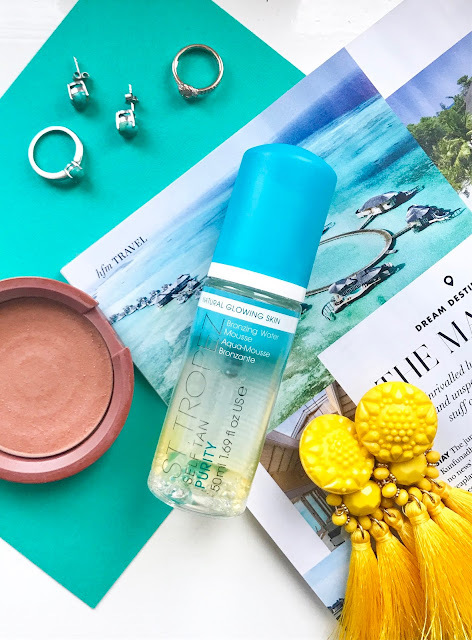 With the recent banning of microbeads in exfoliant products, its great to be able to trial products from a cruelty free and vegan friendly brand. To enhance the ambiance of my room, a Marshmallow wax melt pot from Charismatic Cat Candles was included too. I'm a huge fan of wax melts, and always have one on the go in my room. They smell so much stronger than regular candles and the scents linger for longer too. This sweet marshmallow scent is simply dreamy, and I adore the addition of sparkles and glitter in the pot too - love love love! To ensure a good night's sleep a 'Dreamer' sleep mask was included too. I actually never sleep without an eye mask on so this was ideal for me, though I know these aren't everyone's thing. There was also a cute little door sign (which I forgot to include in my photos - oops! ), that would guarantee your pamper sesh wouldn't be disturbed. And finally a taster from Tea Huggers in the form of a 'Good Night' tea bag. 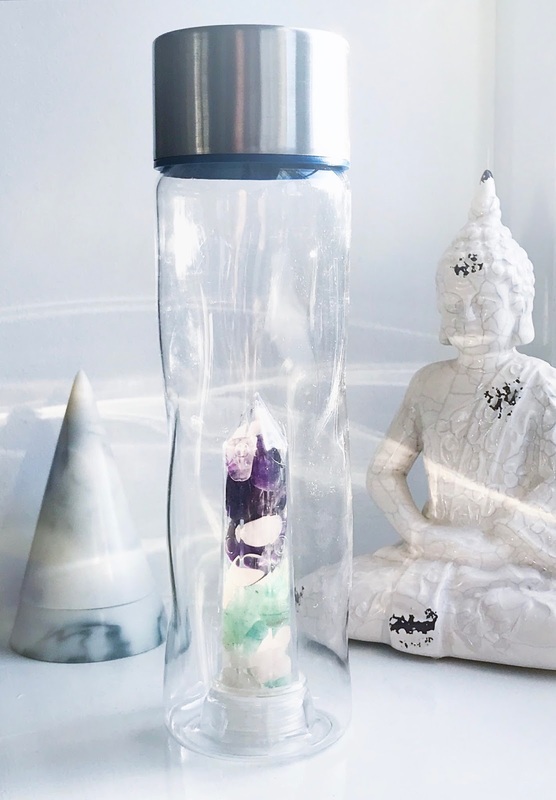 A sweet blend of soothing lavender, fruity blueberry and caffeine-free rooibos. As well as lemon balm, orange peel, apple and hibiscus petals, it's perfect for sipping on whilst you're unwinding after a long day. Completing the box was the addition of a Nails Inc. nail polish in the shade, Harrington Square. Part of their Cotton Candy range, the polish is a turquoise blue colour with speckled detailing that really reminds me of a duck egg - absolutely ideal for an Easter nail look! And to keep all of the goodies from this month's box safe, the box also had the addition of a gorgeous natural makeup bag. Apparently it came in four different quotes, but mine was embellished with 'Contents: My Face' which is super cute and sassy. I'm so pleased as usual with my March TreatBox and will be definitely locking myself away for a Sunday pamper sesh. 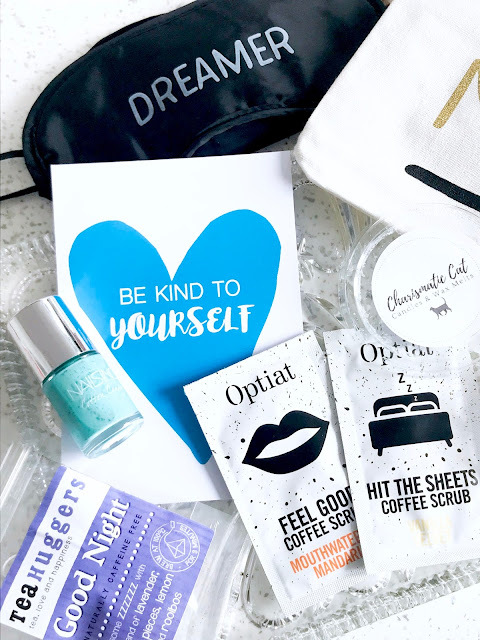 The printout out inside the TreatBox said 'Be Kind To Yourself' and I think it's definitely a fantastic reminder of how important your mental and physical health is, and that you should always take a little time out to just unwind. 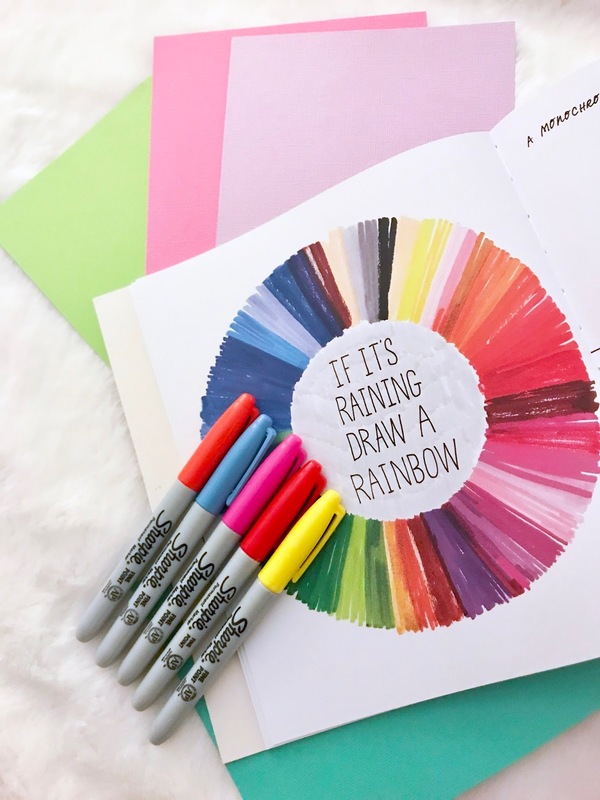 A new month means a wonderful new Mollie Makes magazine lands on my door mat, and March's issue is jam packed full of inspiration to spring creatively into spring! 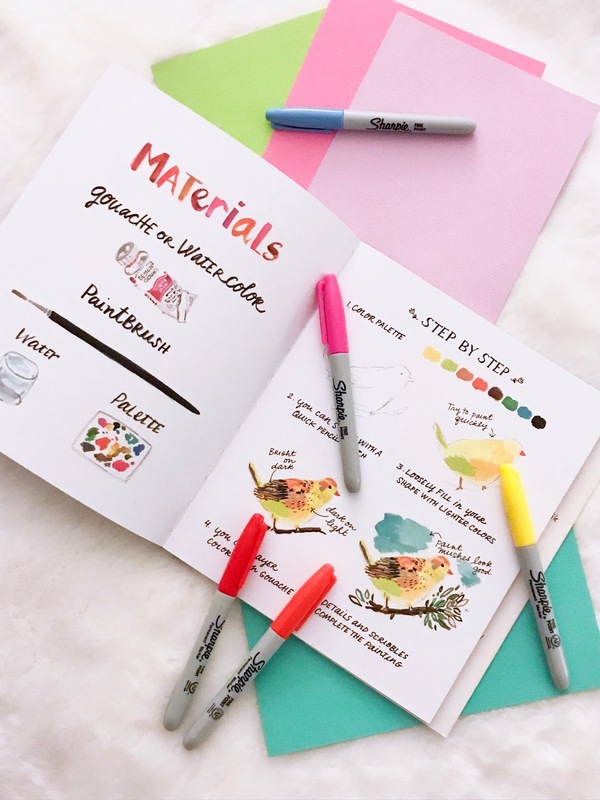 Whilst I'm always eager to paw through the pages of how-to's, printed papers and array of crafts, one of my favourite things about the Mollie Makes magazine is the free make kit that comes along with it. 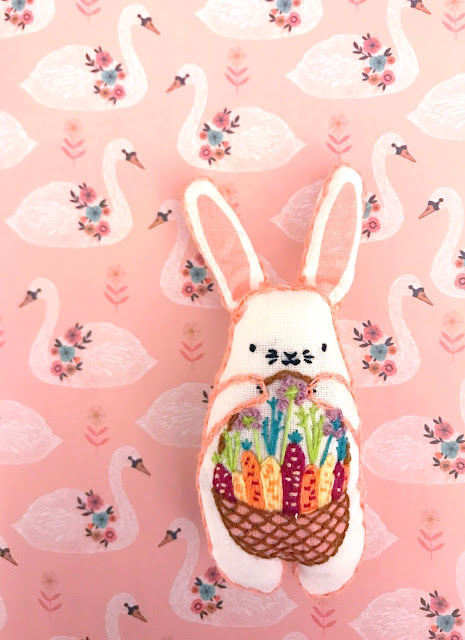 We may have all been plunged into a deep freeze in the UK this week, but March's Mollie Makes kit was definitely making me focus ahead on Easter. Inside this issue was a delightful little bunny plushie stitch kit, designed by Kiriki Press. Another of my favourite things about the magazine is how many new creatives you discover, and I'm so happy to have been shown Michelle at Kiriki Press' crafts! Having been in bed ill this week, I had plenty of free time on my hands to crack open the kit and get stitching. I'm familiar with cross-stitching but relatively new to embroidery, so it was fun to learn some new sewing techniques. I'm so pleased with the way my little bunny turned out, I'd already set up a little easter display in my house, so he fitted in perfectly! He's definitely not perfect, but I love him flaws and all. I actually really noticed my sewing start to improve by the end of the kit too, which is always a bonus, and it's really made me want to look for some more embroidery projects to have a go at. I'll have to finish off reading this month's magazine for some further inspo! 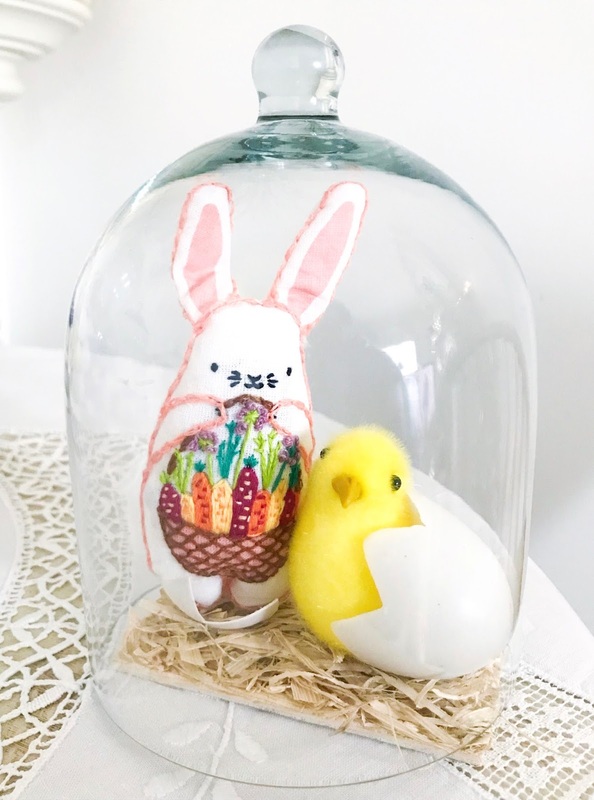 Are you starting to think about Easter just yet? Or is it still a little bit too soon?